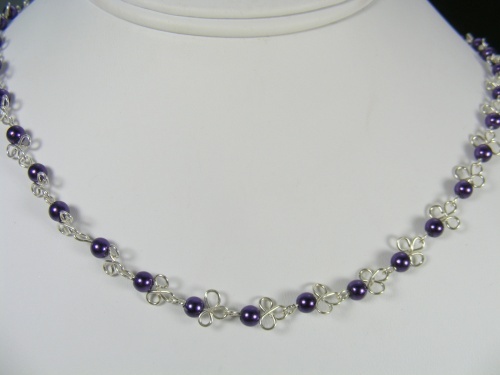 For all you purple lovers, this pearl purple necklace is the one for you. Delicate purple pearls are enhanced with the flower like designs of sterling silver. Piece measures 17" and comes with complimentary earrings.